What acne products are safe to use during pregnancy and breastfeeding? We’re here to answer that question for you! The biggest no-no is Accutane – it’s absolutely NOT okay for pregnant women to take Accutane (The same goes for most oral antibiotics). If you’re wondering about the safety of azelaic acid, benzoyl peroxide, salicylic acid and more, read on. First, let’s talk about topical retinoids — examples of topical retinoids used in acne treatment are Adapalene (DifferinTM 0.1% gel, ProactivMDTM) and Retinoic acid (Tretinoin). The amount of topical retinoid absorbed into the skin is quite low, but there are four published case reports of birth defects associated with topical Tretinoin use (Which are consistent with retinoid embryopathy). The role of the topical retinoid in these cases remains controversial, as two prospective studies that examined use during the first trimester of pregnancy (With 96 and 106 women) didn’t find an increased risk of major malformations or evidence of retinoid embryopathy. However, most dermatologists believe that until more data is collected, women should NOT be encouraged to use topical retinoids during pregnancy. So how about Differin 0.1% gel (The over-the-counter version)? In studies, Nn teratogenic effects were seen in rats at oral doses of adapalene 0.15 to 5.0 mg/kg/day, up to 120 times the maximal daily human topical dose. However, there are no adequate and well-controlled studies in pregnant women, so the FDA states: “Adapalene should be used during pregnancy only if the potential benefit justifies the potential risk to the fetus.” Regarding nursing mothers, the FDA states that it’s not known whether this drug is excreted in human milk. "Because many drugs are excreted in human milk, caution should be exercised when DIFFERIN Gel is administered to a nursing woman." How about azelaic acid? The FDA states that there are no adequate and well-controlled studies of topically administered azelaic acid in pregnant women. The experience with azelaic Gel, 15%, when used by pregnant women, is too limited to permit assessment of the safety of its use during pregnancy. Because animal reproduction studies are not always predictive of human response, this drug should be used only if clearly needed during pregnancy. For nursing moms, the FDA says: "Since less than 4% of a topically applied dose of azelaic acid cream, 20%, is systemically absorbed, the uptake of azelaic acid into maternal milk is not expected to cause a significant change from baseline azelaic acid levels in the milk. However, caution should be exercised when Azelaic Gel, 15%, is administered to a nursing mother." How about benzoyl peroxide? When benzoyl peroxide is applied topically, only 5% is absorbed through the skin, and then it is completely metabolized to benzoic acid within the skin and excreted unchanged in the urine. No studies on the use of this preparation in pregnant patients have been published — however, systemic effects on a pregnant woman and her child would not be expected and therefore the use of this product during pregnancy would not be of concern. Here’s what we know about salicylic acid: It’s an FDA-cleared anti-acne ingredient used in concentrations of 0.5%-2%. 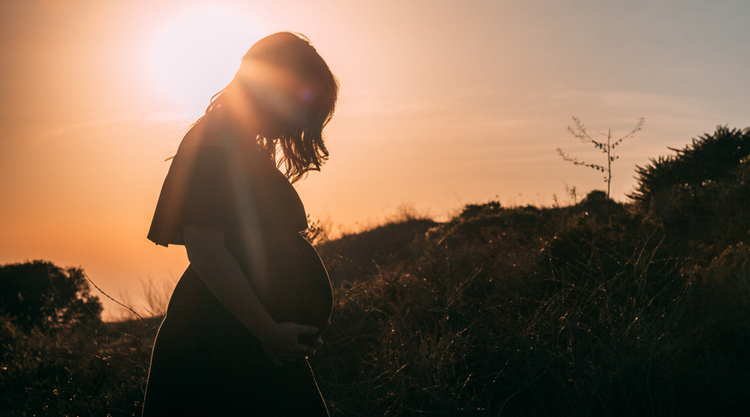 A number of studies have been published in which researchers examined the outcomes of women who had taken low-dose acetylsalicylic acid during pregnancy —there was no increase in the baseline risk of adverse events (Such as major malformations, preterm birth or low birth weight). No studies have been conducted in pregnancy on topical use, but as such a relatively small proportion is absorbed through the skin, it is unlikely to pose any risk to a developing baby. If you’re looking for a skin-lightening agent, but you’re pregnant or breastfeeding, here’s some info about hydroquinone. It has been estimated that 35% to 45% of hydroquinone is systemically absorbed following topical use in humans. Based on available data, hydroquinone use during pregnancy does not appear to be associated with increased risk of major malformations or other adverse effects. However, because of substantial absorption compared with other products, it’s best to minimize exposure until further studies can confirm safety. Hydroquinone (Which is absorbed systemically in fairly substantial amounts and should be used very sparingly) and topical retinoid (Owin to the troubling case reports), should not be used in pregnancy and breastfeeding. Azelaic acid should be used only if clearly needed during pregnancy. Benzoyl peroxide and salicylic acid’s systemic absorption is minimal —use of this product during pregnancy would not be of concern.